Two new dating websites cater to singles on opposite sides of the political spectrum. By Faiza Elmasry – If similar political views bring people together on the campaign trail, why not in romance as well? That’s the concept behind two new dating websites for people on opposite sides of the political spectrum. Redstatedate.com and bluestatedate.com are named after the colors on a political map which indicate whether residents of an area vote predominantly Republican or Democrat. Bell says she talks about politics all the time, even when she’s on a date. That’s why she was delighted to find redstatedate.com. Alex Fondrier, co-founder and chief executive officer of Political Matchmakers, conceived the idea for the site after experiencing difficulty meeting people who shared his passion for politics. He launched redstatedate.com and bluestatedate.com in October 2012 and, so far, nearly 5,600 people have signed up. As on most dating web sites, users enter their educational information, where they live, and their interests, but they also answer questions about their views on a variety of social and economic issues. When people log in, they are offerred a three-part political assessment, including questions on the economy, foreign policy and social views. “Then the system puts you on a political spectrum and shows you how conservative you and also your other matches are overall, or how liberal you are overall,” Fondrier says. The two websites are the latest additions to what experts call “niche” dating sites. But special interest websites are not for everyone. No matter where they meet online, Spira says users should be clear about who they are and what they’re looking for. That’s the next step for users of Political Matchmakers’ websites. Fondrier hopes redstatedate and bluestatedate will continue to grow and help the politically passionate find their perfect mates. Guess Which Agency Can Impose State Tax? I hate online dating. I think it's lazy. What happened to old fashioned romance? 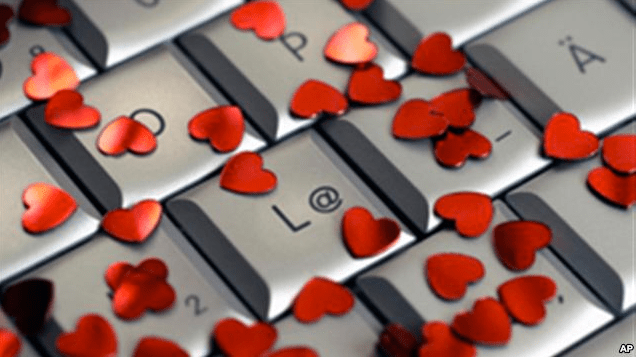 Online dating is not dating! Nothing can replace looking into another person's eyes and having a real life conversation. What's really important in assessing a profile is its tone.You need to try and get a sense of what the individual is similar to,which can be genuinely troublesome.It's key to find some hidden meaning to get a sense of whether the individual appears to be well-adjusted —pleasant,friendly and reasonable,somebody you would be drawn to on the off chance that you met him or her in individual,regardless of the fact that you didn't have any acquaintance with her top five favorite movie.